Dyson vacuums dominated the nominations in our Kinja Co-Op for best vacuum, but they can be prohibitively expensive. Today though, refurbs of the popular Dyson Ball Animal Complete are down to $262 on Amazon, one of the best prices we’ve seen. 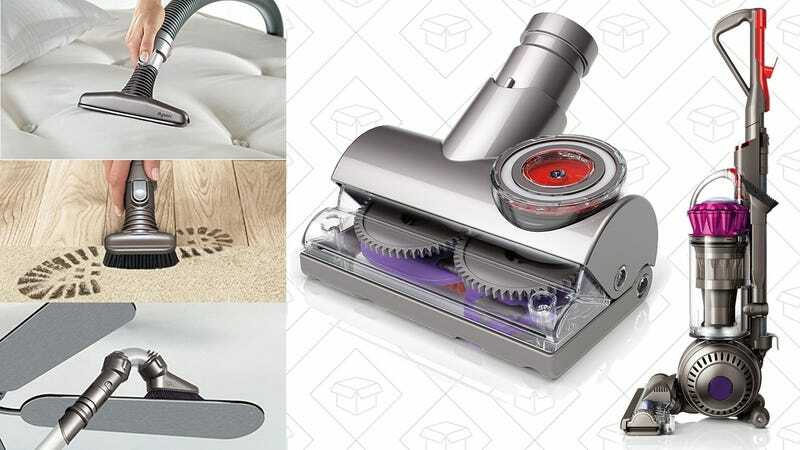 If you’re willing to forego some of those accessories (specifically, the curved ceiling fan tool, the mattress tool, and the flexible reach-under tool), you can actually get a refurb of this same vacuum from Dyson’s eBay store for just $176 with promo code PHOLIDAY20. As we mentioned earlier in the week, that code will save you 20% on anything Dyson sells on eBay, with a maximum $5o discount.